Winter is on its way and many parts of the country will soon be dealing with record breaking low temperatures. As your dress starts to change, so do your tactics for concealed carry and self-defense. In today's article I want to address questions about concealed carry with gloves. Gloves are a huge hindrance to handling a weapon well. They effect your grip, trigger control, and more subtle movements like disengaging a safety, operating a hammer, racking the slide, dropping the magazine, and more. Since most of us don't work gloves into our firearm training routines, to wear them at all would be a significant issue when trying to operate the weapon under pressure. So, for this reason, there is a large community of shooters who feel it is always best to not wear gloves at all. You still have pockets you can put those hands in to keep warm. Sometimes, even worse than having inoperable gloves, is having frozen fingers that can't move because they are too cold. When it gets really cold out, in the single digits, no amount of keeping your hands in your pockets is going to help you stay warm enough to be able to operate a firearm. So, I suppose the best answer is that wearing gloves is sometimes not only a good idea but absolutely necessary. When Should I Wear Gloves? If you are going to be outside in very cold temperatures for an extended period of time you should wear gloves. I realize that words like “Very Cold” and “Extended Period of Time” is very general. Each of us has our own tolerance for cold and we need to make appropriate decisions that will work for us. The key here would be to ask yourself if not wearing gloves is going to leave your hands too cold to be useful. If yes, you need to wear gloves. If I Am Going to Wear Gloves What Should I Wear and How Do I Train? 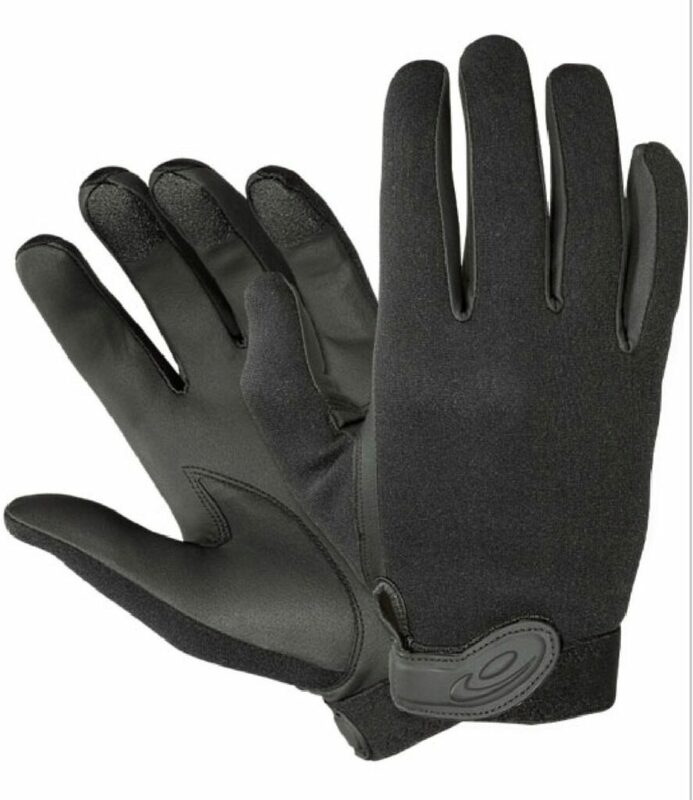 There is a big market for tactical gloves that are meant to give the user increased mobility while still keeping your hands warm (Amazon Search). My favorites are the Mechanix Wear – M-Pact Covert Tactical Gloves (On Amazon here). They have great palms with added traction in key areas. They are made specifically for shooting. Sadly, no pair of tactical gloves is going to keep you warm in the prolonged and bitter cold. As an alternative you could wear the big fluffy ski type of gloves and just be prepared to yank them off before drawing your firearm. The key here, like usual, is in the way you train. If you feel you need to wear gloves during the winter months, then you need to train with them. Stand in front of a mirror and practice dry firing while using the gloves, or taking them off. Do it in slow motion several times before acting quickly. Use your training weapon to prevent accidents. Then you need to know how your gun feels with your gloves on during live fire. You'll need to practice how to manipulate your safety, slide, and mag release while at the range because it will feel different. Do you wear gloves during the winter months? If so, how do you train? Let us know in the comments below. Anyone looking for tactical gloves check out myonesupply dot com. They have a great selection, I just got the 5.11 Tactical Gloves from there, they are just what I needed.